I have just moved into a semi-detached house (rented) made out of cob, heated with a wood burner which also heats up the water for radiators and washing. There is also a large boiler,electrically heated, for hot water in the summer. The house is on two floors and there is a loft under the main roof . This seems to act as a buffer in warm a days, releasing heat at night. 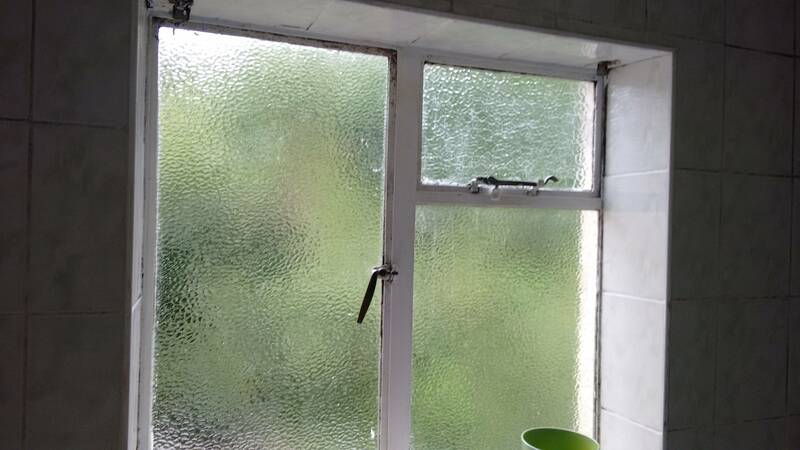 Unfortunately the windows are single glazed and although the walls are insulating, all the heat escapes through the windows and there is a lot of condensation too. What could be some strategies to improve heat management especially in the winter? Curtains; especially in winter when its dark anyway. Insulation tape in the cracks between frame and window. You can also try to fit an extra 'window' (even a makeshift one) in the outer frame, i.e. on the outside of your current window. Results vary on what's available and how well it fits, but it creates an extra air buffer, and that will really help. Downside is that you can't open the window, and you may move the condensation to the new pane. The current situation is so bad that anything helps. Not the answer you're looking for? Browse other questions tagged home heating water-heating or ask your own question.